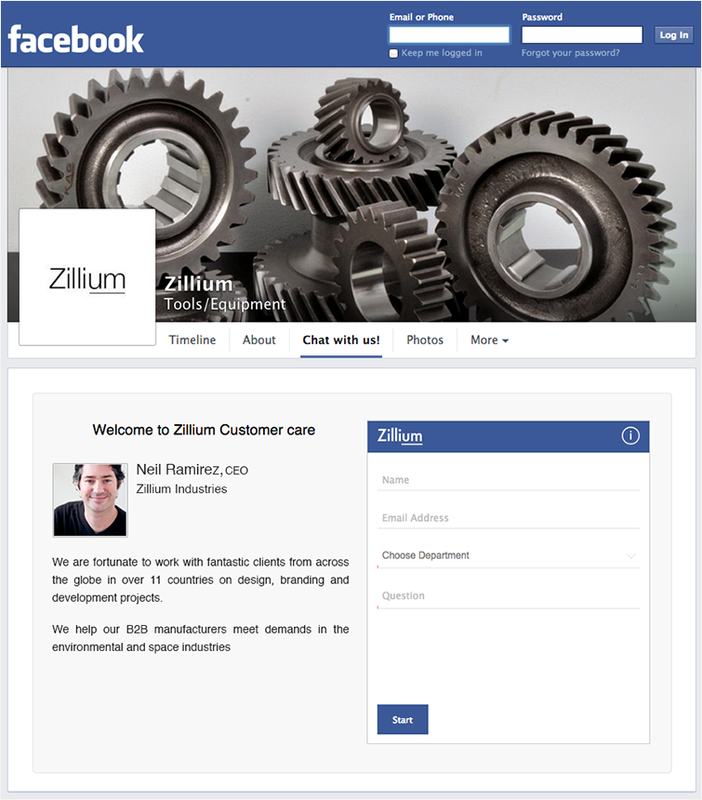 Want to chat with your Facebook Page visitors? Here is Zoho SalesIQ answering your question. 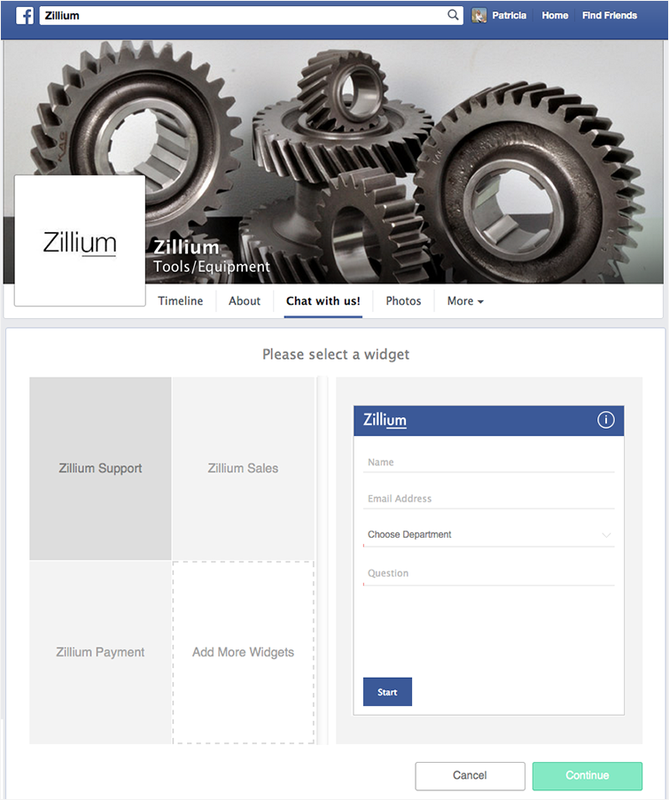 Add Zoho SalesIQ Live Chat to your facebook fan pages and connect with a prospect and close more deals. 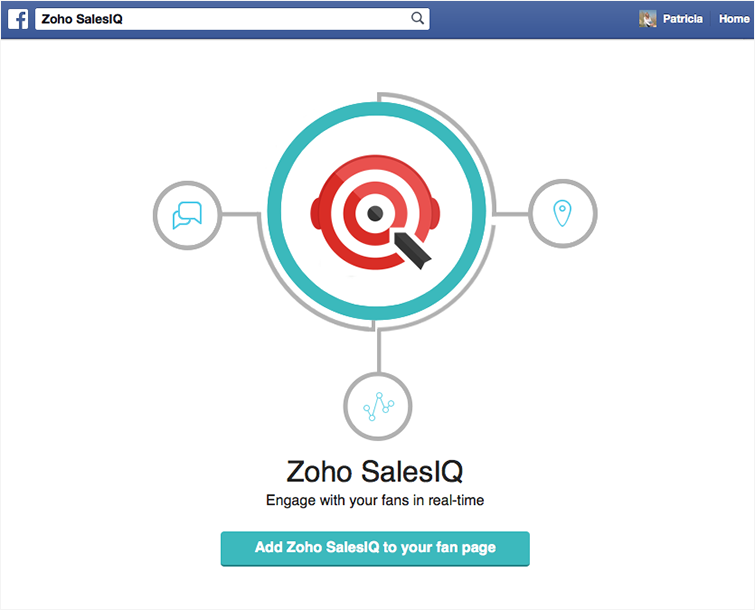 Click “Add Zoho SalesIQ to your fan page”. 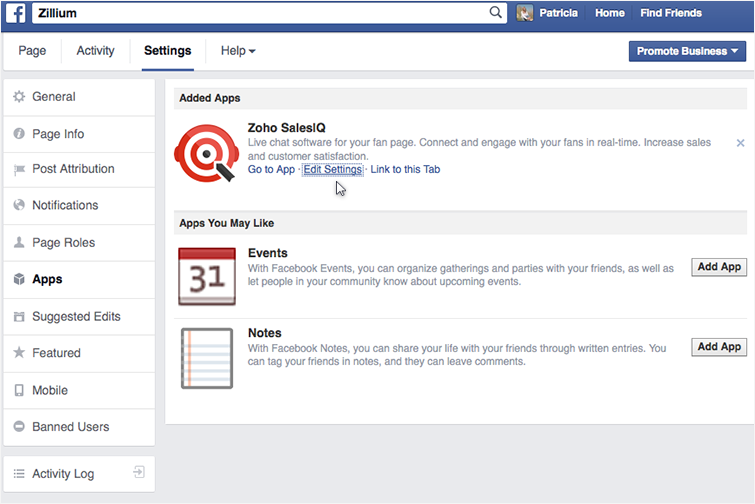 As per Facebook's policy, you can add the custom tabs to your fan page only if you have more than 2,000 members. 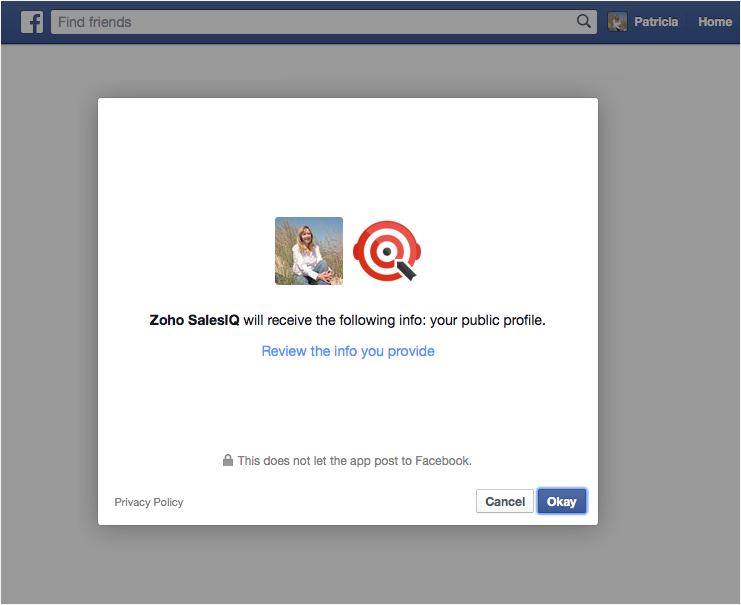 Click “okay” to accept and provide your Facebook information to Zoho SalesIQ. "You will be prompted to login/signup in Zoho SalesIQ if you don't have a logged in session. Once logged in, you'll be shown the Add chat widget screen. Now click on the “Click here to add widget”. 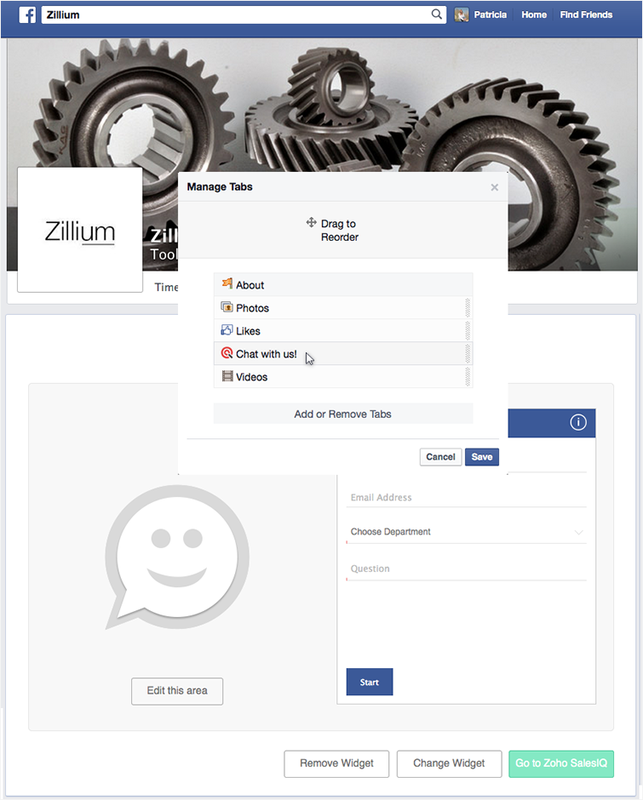 Select the Zoho SalesIQ embed which you like to add and hit "Continue" button to add the chat window. 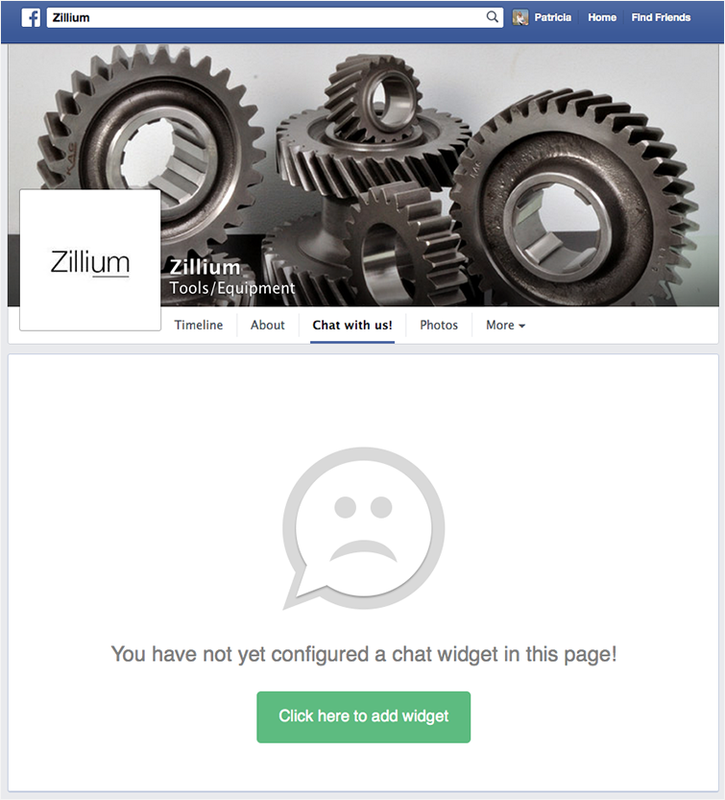 Remove Widget – To remove the chat window from the fan page. 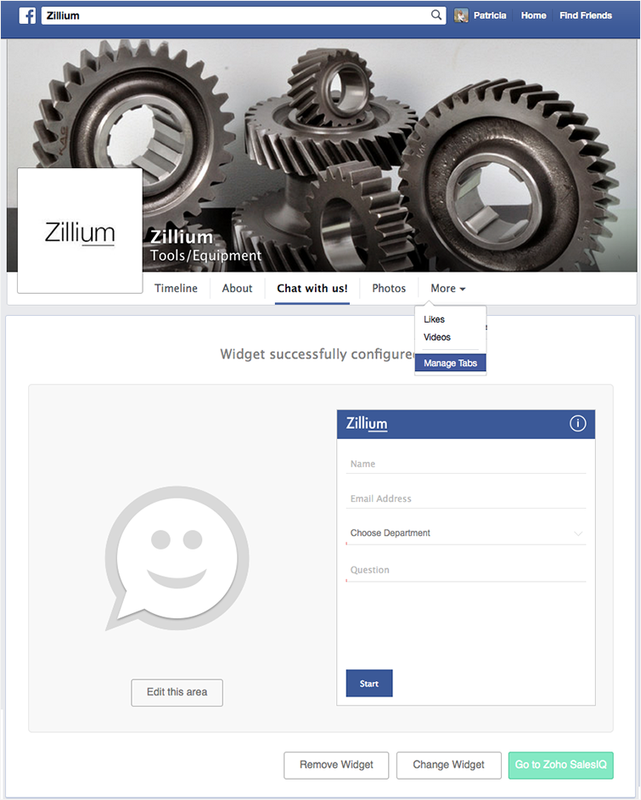 Change Widget – To change the chat window from the fan page. Go to Zoho SalesIQ – Click to access your Zoho SalesIQ operator console. Changing the contents on your chat page. By default you will be provided with the chat smiley image in the chat area. You can also customize the look and feel as per your need. All you have to do is click on the “Edit this area “ to have your own. How to bring my live chat tab more prominent? Click on “More” in your fan page then select “Manage Tabs”. Drag and drop the Zoho SalesIQ app to the top or where you would like to have it. Can I edit my chat label and app logo? Now click the “Add or Remove Tab”. 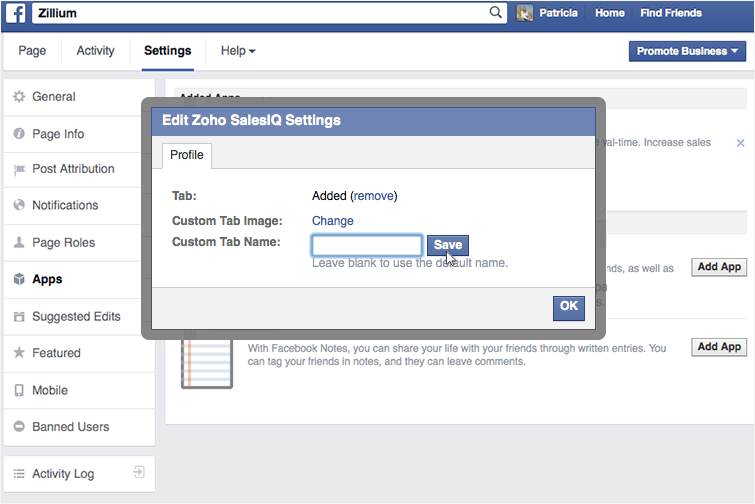 Click on the “Edit Settings” of Zoho SalesIQ. Provide your tab label in the “Custom Tab Name” and upload your logo in the “ Custom Tab Image” from the pop up provided then click ok.